Spring is coming and with it, all nasty and bothersome allergies start to manifest. The smallest thing can trigger a shortage of breath or eye irritation. During this period of the year, you must be very careful with the way you clean and the detergents you use. You want your home to be spotless, but you really don’t wish to trigger and irritate your spring allergies. If you live in a humid area, you are more likely to suffer from some form of allergies or even asthma. That is why we sat down with one of London’s most popular house cleaners and ask them for their expertise and opinion oh how to clean your home safely and effectively. Lets first spend a couple of moments discussing what exactly are spring allergies where do they come from and what can they cause. Spring allergies are caused by various types of allergens that attack the immune system. In an attempt to deal with them our bodies react in a certain way. These reactions can vary from a runny nose to severe migraines and lung problems. 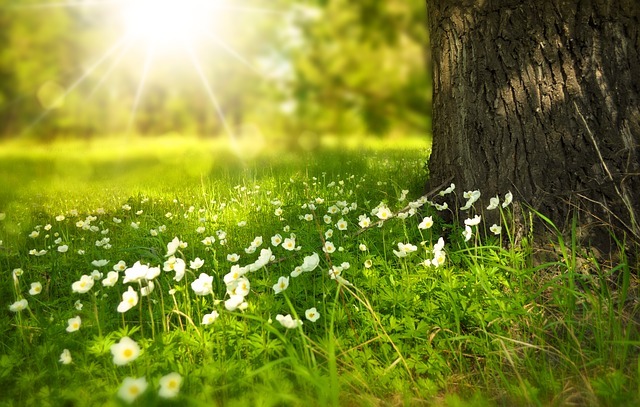 During the spring a person suffering from allergies becomes even more susceptible to outside triggers. That is why you need to learn to properly clean your home and avoid some chores altogether. Together with our London experts, we have compiled a list of tasks you need to do in your home in order to lower the possibility of triggering your Spring allergies. Open your windows at least for 15 minutes every day to refresh the air n your home. Do not isolate your house in fear of pollen. If you prevent the flow of fresh air in your home, you are actually more likely to trigger an allergic reaction. Always use an exhaust fan when you are cooking. It will prevent the accumulation of smells and moist in the air you are breathing. On this note most cleaning companies in London advice their customer to get an air purifier. It will both control the humidity levels in the home and clean the air from small particles. If you spot a mouldy food, place it in a sealed bag and throw it into the bin. Check your fridge every other day for something that has gone bad. Another great thing you can do is make your own detergents. There are many DIY recipes that are approved by professional cleaners to be effective and harmless. During Spring you must vacuum and mop the floors every other day. The same goes for dusting and wiping the surfaces in the rooms you are mostly using. Cleaning specialist advice to always wear a protective mask and gloves during these clean-ups. This will prevent you from inhaling dust and other microscopic particles embedded in your upholstery and carpeting. Avoid cleaning the bathroom with strong detergents containing ammonia or chlorine. It is extremely dangerous especially if your immune system is already weakened. Make sure your hover has a HEPA-filter and vacuum your mattress every week. If you spot a mould infestation in your bathroom immediately call your local London cleaning company or other specialised services. Do not try to wash it all by yourself. As we said during Spring, it is best to try and make your cleaning detergents at home. It will be safe for your health, plus it is very budget friendly. Here are a couple of recipes that will leave your home looking as it has just undergone a thorough cleaning service. Now you are ready to have a safe and effective Spring cleaning at your London home!